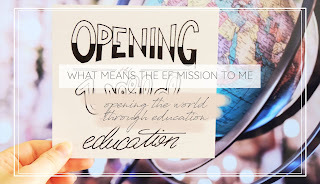 What does the EF mission 'opening the world through education' mean to me? Today I want to talk about something that has been in my head for a long time. 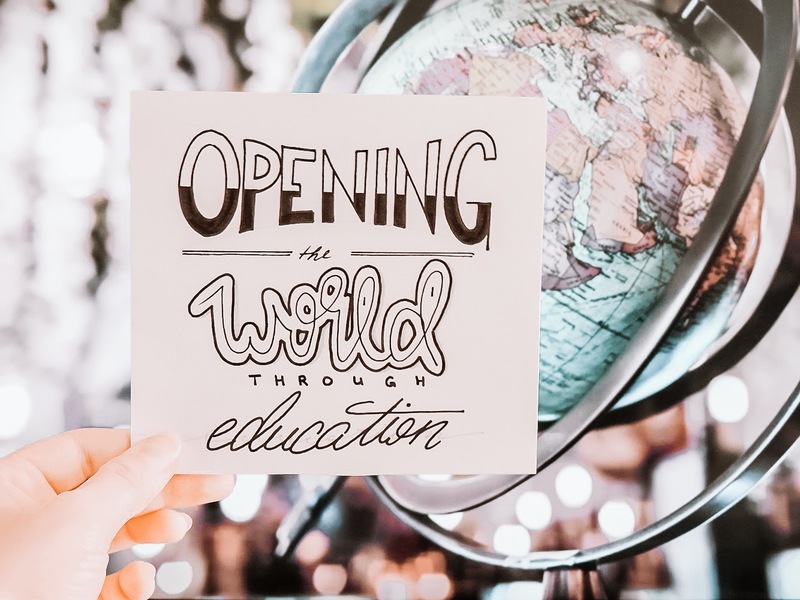 For a few weeks I had thin one question in my mind: What means the EF mission 'opening the world through education' for me? Why have I this question in my head? Pretty simple: I want to apply as a global intern at EF. 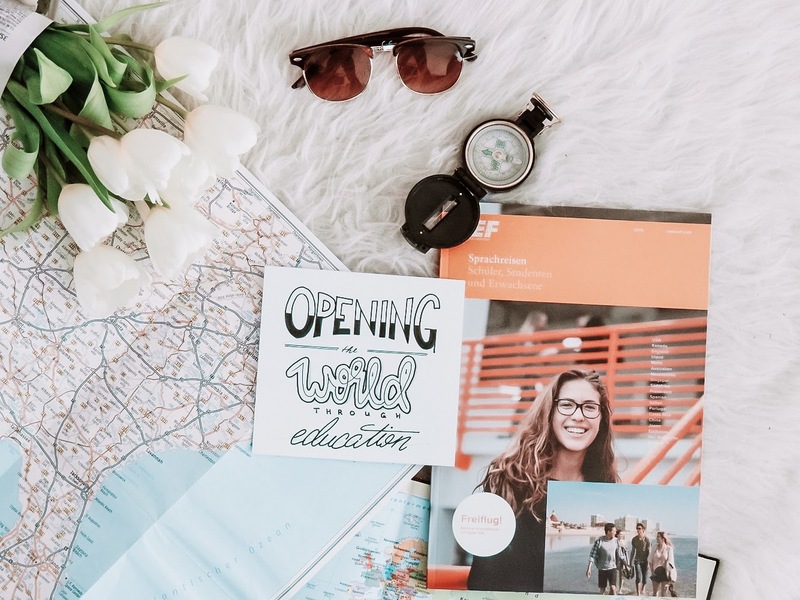 EF Education First is a company founded in Sweden, which organizes worldwide exchange programmes, language courses, academical courses,... and this internship. Their mission is to connect people, educate, motivate and inspire people but also to delight and turn strangers into friends. Honestly, I'm a huge fan of this company. What means the EF mission 'opening the world through education' for me? What is education for me? In German we have different translations, but none of them really describes what I understand. It is not just basic knowledge we learn in school. It is also about common knowledge, a comprehension of the world and understanding why everything is how it is. It is about values we internalize, Soft skills we acquire aimed or not. It's about cultural behaviours we may not even notice. Why don't I learn everything in school? The human knowledge duplicates every seven years and our school systems cannot be changed that fast to provide all information we need to know. Science makes new discoveries, technology develops new progress and cultural exchange creates new values - this happens way faster than any minister (or who else is doing this?) can change the curriculum. School gives us the foundation! Reading, calculating and writing are basic skills we could not live without. The knowledge about complex problems, physics, chemistry and biology enable us to conceive the earth. social studies, geography and languages teach us to really understand the world - or at least they try. But how can we understand the world when we have never seen anything else than home? How can we master something, we don't even have the creativity to imagine? Scholastic knowledge is the foundation to explore the world and experience unexpected possibilities. Our lovely teachers give us everything we need to know the go our own way. It is up to broaden our minds, shoot for something new, get to know the unknown and never back away from difficulties. At the end of the day our academical knowledge is just a fraction of the information offered to us. We nee experiences and adventures. To understand our world, we need to see, feel, smell - just experience! 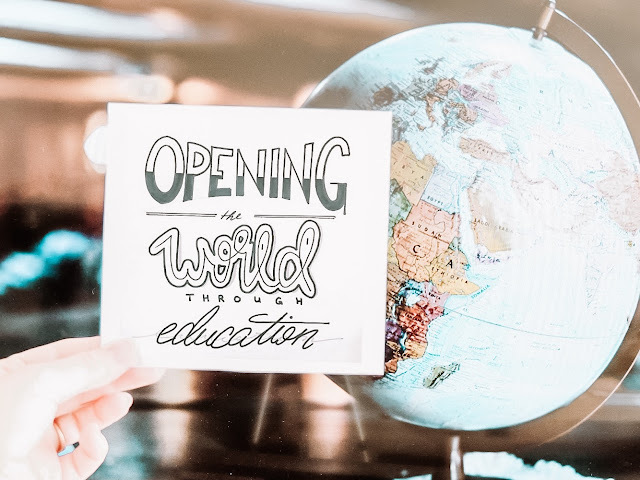 How could education open the world? To progress we need to push ourselves forward and never stop, we need to be brave and never fall into sloth, we need to make mistakes an never abide in out comfort zone. A classroom it not the only place where you can learn something! We need to get out of our comfort home and go somewhere where have never been before. Try things we have never done before and eat dishes we didn't even know that they were possible to cook! There is so much more in this beautiful world than our little bubble. There is culture, language, humans, places, dishes, music, buildings, art and so much more we can explore! Every person is different und with out knowledge, experience and impressions we collect in our live, we get a voice. We can connect people, make friends across borders. 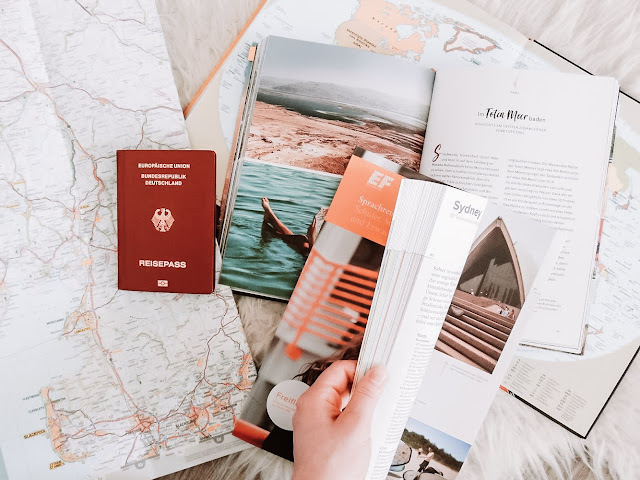 It gives us the freedom to travel wherever we want to go and to start over and over again, to be creative and not only to overcome barriers but also to break them down. Language, culture and simple geography can push people apart... it is up to us to make the exact opposite! Education brings together, connects and gives us so much more! So, what does 'opening the world through education' means to me? We learn much more from each other than we see or realize. The world is open to those who never back away from new knowledge, possibilities and experiences. Education ensures that we know what is happening in the world and how we can find our way in this mess. 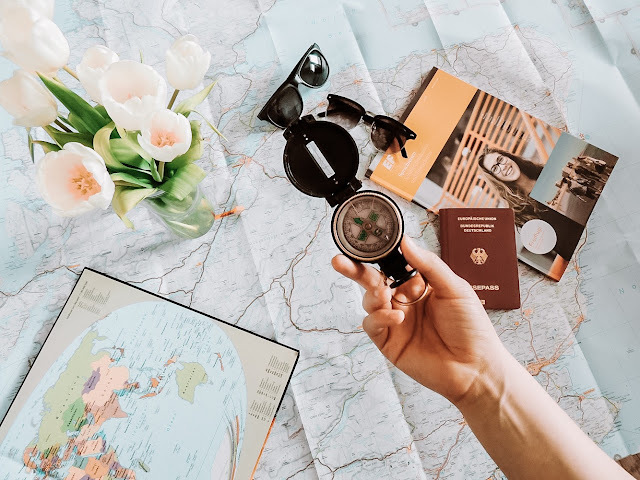 Whenever we discover (or experience) new cultures, meet new people and get to know them, we can take inspiration and motivation from all that beautiful things. I don't know anyone who ever regret staying abroad or who had negative effect for the future live (especially working live). Knowledge and values are the key for success and fulfilment. Both can be expanded by traveling, discovering and scrutinising. Opening the world through education and bring each other close means giving people the opportunitie to rise. Only broad-minded people can connect others and the world is open to those who are open-minded. If you want to connect people, you need to put education first! Success is not about winning or losing - it's about living the best life you can imagine! EF offers an internship for 3 months in 3 countries. We will see whether or not my opinion (or my video) was good enough and whether or not I get one of those coveted job offers. Here you can see my video. If you want to see my video feel free to check out my YouTube channel and give me a quick feedback. 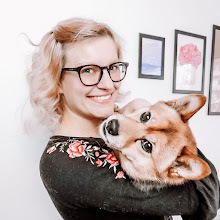 It was important for me to share not only my video but also this blogpost, because I cannot tell you all my thoughts about this huge topic in one minute!